On August 14 1988, Italy lost an automobile legend when Enzo Ferrari passed away. Twenty years later, it has lost the living legacy of the Pininfarina name, Andrea Pininfarina, who was killed today in an accident involving his Vespa scooter. A driver pulled out of a driveway or other road directly in his path, and he had no chance to stop. 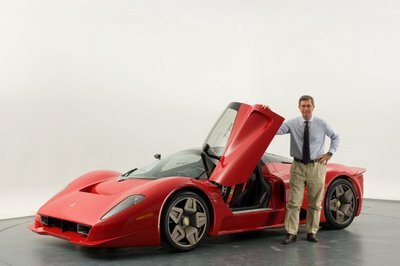 He served as the CEO of Pininfarina since 2001. It is widely speculated that since he is the only living grandson of the founder, Battista Farina, and the Pininfarina family is considering reducing its share of ownership of the compamny, this could be the end of an era. The influence and involvement of the Pininfarina family could be coming to an end. Andrea Pininfarina was involved in some key projects for the firm, including the Cadillac Allante (1987) and the non-US versions of the Ford Focus (1998-present). 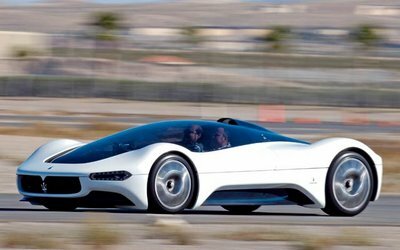 The 2005 Maserati Birdcage 75, a concept car to celebrate Pininfarina's 75th anniversary, and designed by Ken Okuyama.